Florence Welch admits she loses herself in her music. She also loses her manager’s cell phone often, apparently. When she answers my call, Florence Welch seems to be working in a call center. A din of ringing phones, chattering workers and knocking doors sounds more like corporate headquarters than a New York hotel room. In a way, it is. The moniker Florence + the Machine has become surprisingly prescient for the 25-year-old. Following her smash single “Dog Days Are Over,” the wailer’s aptly titled debut, 2009’s Lungs, sold millions worldwide. Her June gig at the Aragon sold out in a heartbeat. 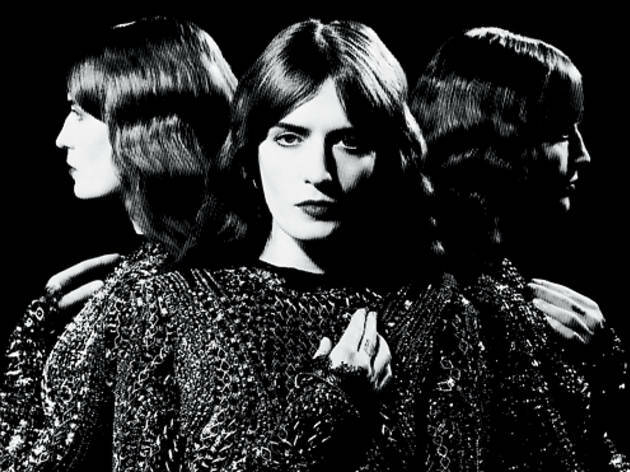 And the redhead just released a cathedral of a sophomore album, the hallelujah-heavy and celebratory Ceremonials. The lush new songs are slow builds. In conversation, however, the bubbly Brit talks a mile a minute. Sleep figures heavily on Ceremonials. One song begins, “I’ve been losing sleep.” Are you exhausted? I’ve always been kind of, I don’t know… [To someone in the room] Yeah, I can’t find it here.… I’m a light sleeper. I’ve never been one of those people who can put their head down and suddenly everything disappears. Nighttime is the time I get most scared, anxious or worried. In those darker moments before waking or sleeping is when I feel most, I don’t know, I can turn on myself, and my imagination can take me dark places. I’m always terrified of the idea that there’s something in there with you, be it your fears or an actual apparition. Has the anxiety grown with fame? I’ve actually been okay. I was really bad for a while. Doing the first record was bad. This one has been easier. I don’t know whether it’s because I’ve been growing up or things are becoming more settled in my head. The new album is loaded with gospel choirs and church organs. Are you spiritual, or is that just a sound you gravitate toward? That has to do with music being a catharsis, something to take you out of yourself and something that can maybe absolve you. I had that moment of just being so tired of myself and these patterns of behavior I’ve fallen into, and I think everyone can be quite hard on themselves, and music takes that out of you, and it’s that moment of clarity that everyone is looking for, where you don’t have a future or past. I feel things in quite an intense way. I’m not actually the most intense person. My ex-boyfriend, this new girl was working with him, and she was like, oh, my God, you go out with Florence, wow, God, she must be really intense, because, you know, the music’s so intense. I understand why people might think that. But he was like, no, actually she’s pretty mellow. But if I feel something, be it love, be it panic, be it joy, be it fear, I feel it in a really intense way. It takes over me, and I can’t control it. Your mother is a Renaissance scholar. Does that play into the churchiness? My visual landscape as a child was the inside of a lot of these old churches. And the Baroque drama of the things was what I was first engaging with artwise. I’m much more attracted to the aesthetic of religious iconography than the actual religious side. The passion and the blood and the violence and the gaudy side of it I find really fascinating. You intended to record the album in Hollywood with pop hit makers. The final product is lush. Why the change? What made you back out? I saw it in the diary, and it was, like, two weeks away. All of a sudden, I was like, oh, my God, I don’t think I can do this. This is too far removed from everything that I’ve come from, and I’m going to be away and I won’t be with my family. You don’t want to completely alienate your fans. “Breaking Down” is a standout. You sound different. That’s so funny. It has this masculine energy. As I was singing it, I was trying to be David Bowie. [Laughs] I’m sorry, someone just found… I’ve lost my manager’s phone. Have you ever lost something in a room, with no reason why it should disappear? You haven’t been out of the room, and yet you have no idea where it’s gone. That’s when we’re at our most vulgar, when we can’t find our keys or sunglasses. I’ve been having to be calmed down by people. It freaks me out so much! It’s, like, against nature! I start shouting. This! Is! Ridiculous! I’m just a black hole for stuff. No one should ever hand me anything, because I get so easily distracted. I’ll be like, oh, look, something shiny! I’m glad I never learned how to drive. I would be really dangerous. 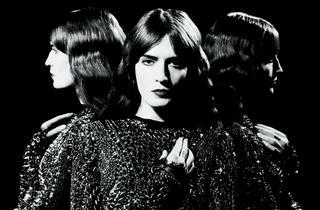 Florence + the Machine visits Chicago Theatre December 4.